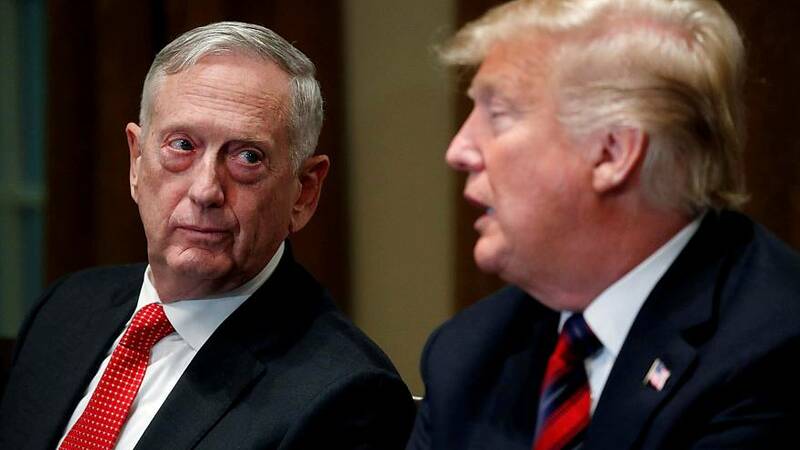 WASHINGTON — A close adviser to ex-Defense Secretary James Mattis has written a "sometimes shocking" book detailing the "complicated relationship" between Mattis and President Donald Trump, and describing how Mattis worked to block some of Trump's proposals, according to a press release obtained by NBC News ahead of its official distribution. Written by the secretary's former communications director, (Ret.) Navy Cmdr. Guy "Bus" Snodgrass, "Holding the Line: Inside the Pentagon With General Mattis" is scheduled for publication by Sentinel in October. "Holding the Line" is the first book by one of Mattis' closest advisers, and is the first look behind the scenes at Mattis, who rarely engaged with the media and kept a lower profile than previous secretaries. Mattis, a former Marine Corps general, served nearly two years as defense secretary. He resigned in December 2018 after Trump announced an immediate U.S. withdrawal from Syria. As chief speechwriter and communications director, Snodgrass was responsible for writing some of the secretary's most visible and critical speeches and reports. A former F/A-18 pilot and TOPGUN instructor, Snodgrass left his position with Mattis and retired from the military in 2018. The press release says Snodgrass provides a "fly-on-the-wall view of Mattis" during critical national security events and crises, including, "learning about major policy decision via Twitter, rather than from the White House" and how Mattis "slow-rolled some of Trump's most controversial measures, with no intention of following through." Contacted by NBC News, Snodgrass said he is finishing the book and plans to submit it to the Pentagon for review before publication, as is required so classified material can be removed.